Our newest block of the month design. 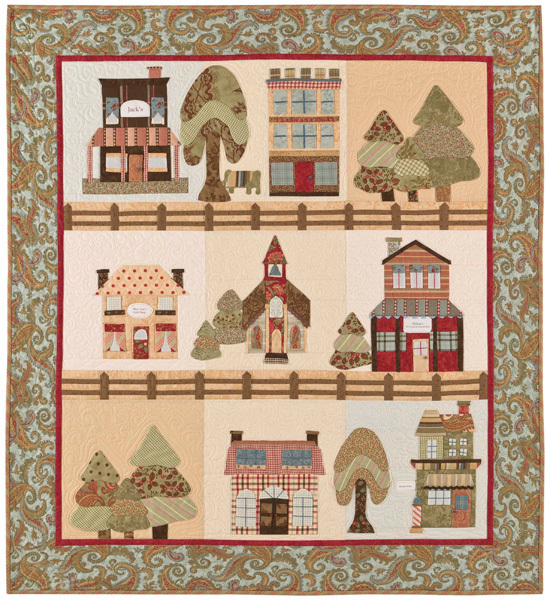 Take a walk along the tree-shaded streets of the hometown we all hold dear to our hearts. Take time to window shop, stop and visit with an old friend under the graceful willow tree and recall fond memories. Head home and pop into bed at night, warm, secure and at peace. Pattern is shipped as one complete set with individual block pictures and instructions.